July 19, 2018 ~ Craig M.
There’s a YouTube post of Pauline Oliveros’ “Bye Bye Butterfly” that’s illustrated with a piece by Vera Molnar. I liked the art, so I went to find out more about Molnar. 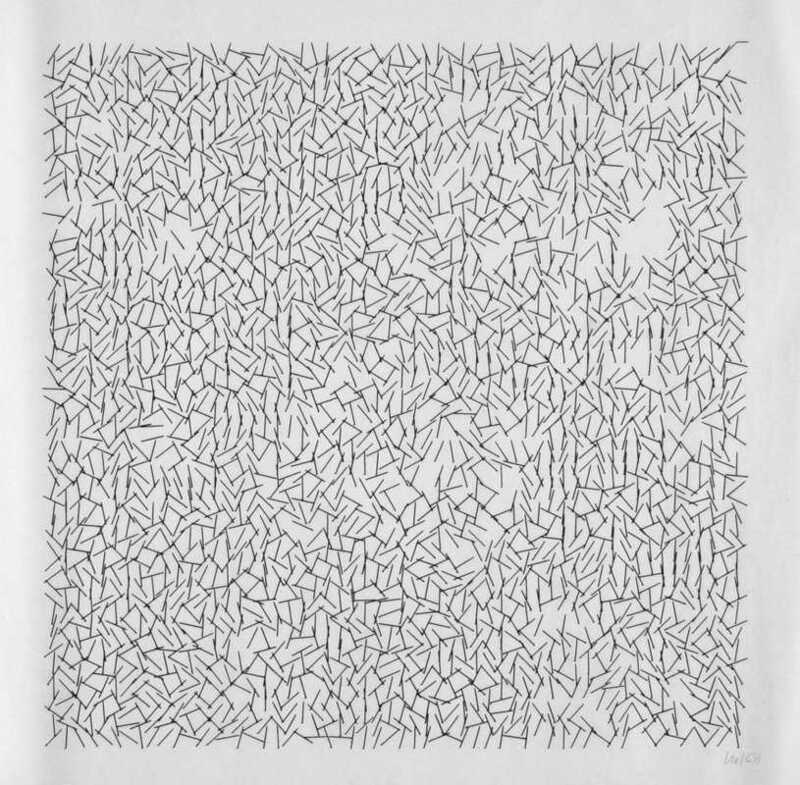 She began her career as a traditional artist, and in 1968 she brought her fascination with geometry and shapes into the world of computers and plotters. Even back then, there were rich possibilities to be had, especially if you toss pseudorandom numbers into the mix. As computers, screens, and interfaces have progressed, so has the art. I saw one piece a few years ago — can’t recall the artist’s name, sadly — that consisted of a crowd of circles moving on a custom-sized video screen. The circles were packed tightly, rebounding off one another, and every circle had a radius drawn, like the hour hand of a watch, indicating the movement of direction at that particular moment. It was dynamic and unpredictable, and fascinating — not just for the way it looked, but for the concept, the process. Anyway. The Molnar piece that started this train of thought is titled “Interruptions.” And if you don’t know “Bye Bye Butterfly,” it’s an early example of Oliveros’ electronic music, one that I hadn’t heard until after she died in 2016. On a further tangent, learning about Molnar led me to the work of Aurélie Nemours. I find I’m particularly fond of her piece, “N et H 3292,” pictured here.